Vaidas Jacob Baumila was born on 28 March 1987. In his teen years Baumila was active in sports, practising basketball. Baumila started his singing career under the name of Ozonas in 2005 and raised to fame the same year taking part in reality show "Dangus" on TV Tango, ranking on December 30 third in the finals. After the show success, he gets a lot of concerts throughout Lithuania and releases debut album "Ką tu mėgsti?" on 11 December 2006, selling in 5000 copies. In 2007 his second album, "Išklausyk" is released, winning Vaidas Radiocentras award as Best Performer. In summer 2008 Baumila is also awarded as "Best singer for children" at "Vaikų balso" awards. Together with Violeta Buožytė he takes part in LNK music show "Star Duets 2". In 2009 Baumila returns to "Star Duets", performing with Daura Zenkevičiūte and reaching semi-finals. Baumila also enjoyed acting career in Lithuania where he made appearances on TV shows, films, well-known musicals and plays: Judas in "Jesus Christ Super Star", Radames in "Aida", Phoebus in "Notre Dame de Paris", Mark in "Rent", Grigory Stepanovich Smirnov in "Chekov's Bear", Kit in "No Way to Treat a Lady". In 2009, he graduates from Vilnius College, where he has been studying classical singing. Baumila decides to continue his music studies in UK, takes lectures in Royal Academy of Music and Drama in Scotland, before joining Guildford School Of Acting in 2010. In UK Vaidas also was leading singer onboard Cunard's Queen Elizabeth, he played Jamie in "Last Five Years", Max in "Lend Me a Tenor" and Tevye in "Fiddler On The Roof" at Guildford's Yvonne Arnaud Theatre. Baumila makes his Lithuanian comeback in 2012 competing in "Auksinis balsas" on LRT, finishing 3rd. 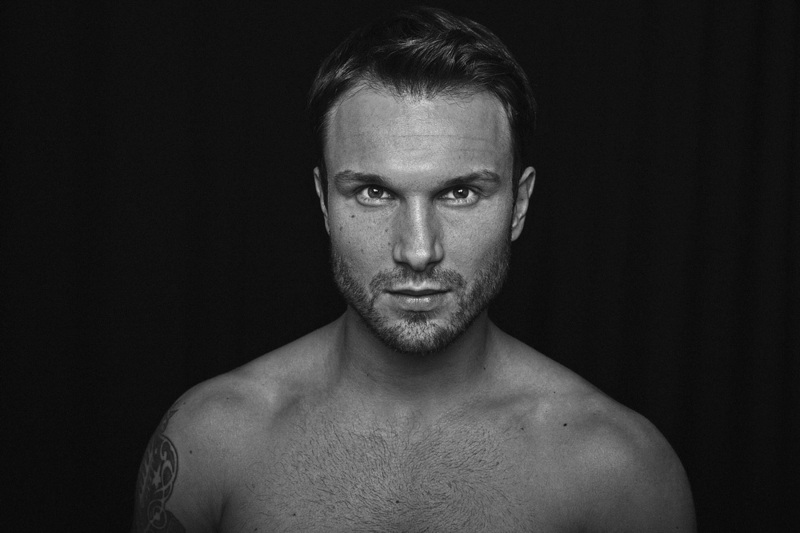 From December 2013 to March 2014 he competes in national Lithuanian preselection for Eurovision Song Contest, finishing eventually 3rd as well. Song "Dying" written for Baumila by Edgaras Lubis fails to qualify to the top 3, being eliminated in 10th show. Newest album of Baumila "Iš naujo" (Restart) is being launched in March 2015, followed by Lithuania tour the same month. 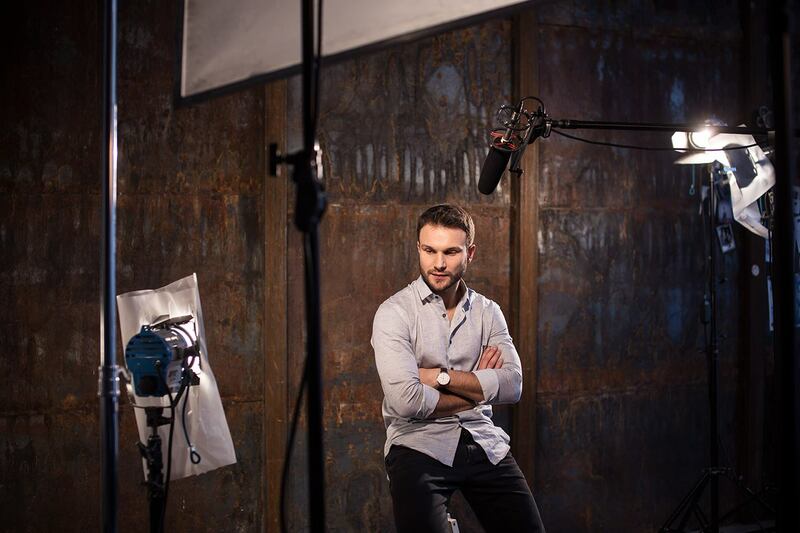 Baumila enters Eurovision preselection 2015 with "This Time" written by Vytautas Bikus. "Eurovision is an opportunity to show myself, my vocal capabilities, knowledge of English, find interesting opportunities to sing not only in Lithuania", says the singer. "This Time is an exceptional song - it has more than 200% of the positive charge. When I heard it, I immediately wanted to start moving, the rhythm catches you immediately. I have no doubt that it's listeners will also get it - no matter if they listen to it in the car or in the office, or at home - this song has contagious effects on everyone without exception"
Monika Linkytė was born on 3 June, 1992 in Gargždai, but now she lives in Vilnius, studies at the law department of Vilnius University. Since her very birth Monika was surrounded by music. Being a little girl she used to dream of being a dancer, so even before she was four years old, her mother took her to a dance studio. However, as soon as she had started to play the piano, Monika understood that music is more important than anything else. Finally she began to learn the secrets of the vocal singing and that was the time when she realized that she wants to sing all her life. Monika has participated in a number of musical contests, festivals and television projects. In 2006 she gets special prize at international contest "Buen viaje", 2nd place at "Baby Sing" and diploma at "Dainų burė" and "Kalėdų karalystė" contests. In 2007 she takes part in LRT project "Mažųjų žvaigždžių ringas 2", winning the show, also becoming best at international festival "Švarus pajūris". She competes in the national Junior Eurovision preselection with "Vaikystes pasaka" finishing 3rd. In 2008 she gets 2nd place at national contest "Pavasario fleita" and becomes laureate of "Dainų dainelė". She wins Grand-prix at "Baby Sing" and finished 4th at "Berliner Perle". In 2009 Monika tested her abilities in the National selections for the "Eurovision" with "Give Away", qualifying to the final and finishing 10th. Monika was successful in both 2011 and 2012 as well. During this period the singer performed a lot of concerts, prepared special shows with the songs of Katy Perry and Alicia Keys, recorded a lot of solo works. In 2011 Linkytė again performs in the final of the National selection for Eurovision, finishing 4th with "Days go by". In 2012 she participates in the show again, qualifying to superfinal and finishing 3rd overall with "Happy". In 2013, her 4th Eurovision participation, she performs "Baby boy" written by Sasha Song. She has qualified to finals, but was forced to withdraw shortly before it due to a laryngitis infection. In 2014 she returns to the show, finishing one step short from qualifying to the artist selection final, ending 4th. Same year she takes part in "New Wave" contest in Jurmala, where finishes 4th overall, getting special Alla Pugachova Choice award. At the contest Linkyte performs duet with Donny Montell on "Love Is Blind". She also competes in dancing show of TV3 "Šok su manimi". In 2015 she enters national Eurovision selection for sixth time with "Skęstu" (Flying). The song fails to qualify to the final, being eliminated after show 6, yet Monika herself qualifies to the artists selection. 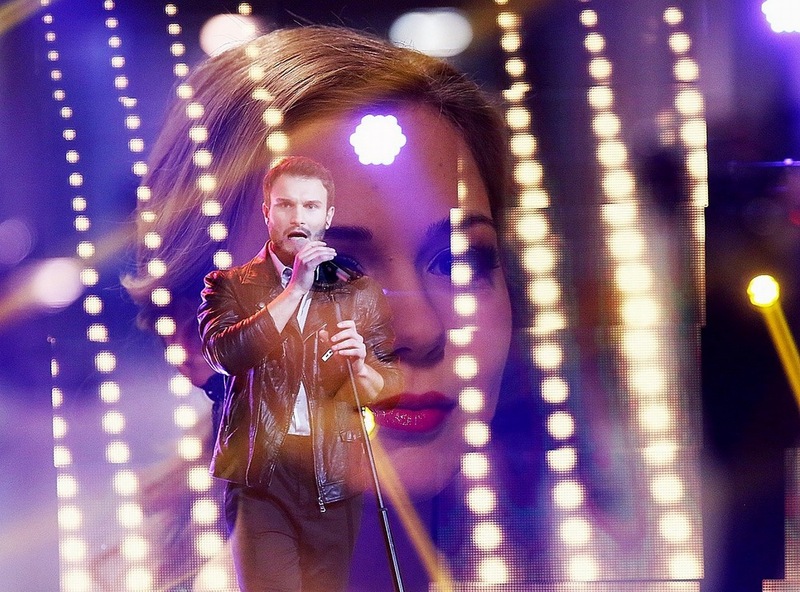 After successful duet with Vaidas Baumila during one of the preliminary rounds, songwriter of the winning entry "This Time" has proposed to include Monica/Vaidas duet for the consideration of voters in the final, and organizers have approved the decision. Our next guests are representatives of Lithuania Vaidas Baumila and Monika Linkytė. As usual we start off with a question about their feeling of participation in the Eurovision Song Contest. "The feeling is great. We are proud to be a part of a huge tradition that is Eurovision song contest. Specially this year as it is the 60th anniversary", says Vaidas. "Of course, both me and Vaidas are very happy to have such an opportunity. Our song is very positive, upbeat, so we hope to spread good emotions and to attract as many fans from Europe as possible with our good vibes. I also think, Vaidas will agree that after being selected to represent Lithuania in Eurovision we understood what a huge responsibility it is. We will represent our country, we will represent every single Lithuanian citizen, which is such a great honor", adds Monika. At the Eurovision Song Contest 2015 the duet will present song "This Time", which Vaidas describes as "lovely jubbly", and Monika as "A heart-warming, sweet love story that we will tell in three minutes". Vaidas tells the story of it's creation: "The composer Vytas Bikus and I we're writing it for our upcoming album, but we both agreed that it had that Eurovision feeling, thus it appeared as one of the entry songs". What happened next? Monika explains: "Eurovision preselection organizers had an idea, that it would be interesting to make a few duet numbers, when there were 6 members left. It turned out, that Edgaras Lubys paired up with Mia and I was offered to make a duet with Vaidas. I wasn't really considering the idea that much and just agreed. Actually, the first time we met in rehearsals, we thought we will sing another song. But when I was listening to Vaidas's song at home, I was just hearing a second voice in my head, when there was a chorus part. After the rehearsal, I just offered him to try out singing his song in a duet. There were no doubts in the end we made a right decision". The duet assures that even if there still are going to be some changes brought in the song, they will not be much noticeable to the listeners. "I mean, don't worry, it'll stay the way you like it! ", jokes Vaidas. The duet has also recorded few other language versions of the song. "We recorded the song in Lithuanian, because it is our mother tongue. Vytautas Bikus is the author of the lyrics. We also did a version in French, which is one of the main languages obviously. French is a very soft, tender and melodious language, it really suited the song. We got the text sent to us by one French guy, the next day we won the Eurovision selections. We also recorded an acoustic version of the song in English", says Monika. The music video for the entry has been released last week. "We're pretty much happy with what happened with the video. We wanted that cozy feeling to it, bringing it even closer to our fans and listeners. That's why we did it live. The idea itself was a result of a team brainstorm that involved the producers, the director Algina Navickaite and us two :)", says Vaidas. At the Eurovision stage the duet will be joined by four backing vocalists - two males and two females. Monika introduces them: "All of them are very musical and they truly appreciate and love music. Ruta Zibaityte and Juste Kraujalyte were both in the same pop choir from their early days. Ruta, Dainotas Varnas and Jurijus Veklenko have attended The Voice of Lithuania too and all of them got to the finals". The duet has earlier asked both amateur and professional designers to submit proposals regarding the outfit for their stage performance. "We want our appearance to be warm, cozy and sweet, just as the first love is. We want to express this idea through our outfits too. We are happy that we can completely agree with the designers about the ideas, wishes and expectations. It might be a bit too early to discuss it in details", says Monika. The aim in the international contest for the duet members is slightly different. Monika says with a smile they are coming there for the victory, while Vaidas laughs off saying that his aim is to "consume as many Austrian strudels as I can! With custard. Don't forget the custard!". The duet has already been to the Eurovision Pre-Party Riga and is heading to Amsterdam later this week. "We think that we would rather spend the time rehearsing than representing ourselves in different European countries", says Monika. The duet has also dropped a surprise visit to Berlin, and Vaidas reveals the secret: "Yes we had a new in-ear system made specially for us. That is definitely going to make the singing easier and more comfortable". Monika says that so far she has watched only entries from other Baltic countries and those ones who were present at Riga Party, and thinks the contestants are very strong this year. Vaidas totally agrees: "The songs are really strong this year. Can't tell which is my favorite yet". It is 6th time in Eurovision preselections for Monika, so she says she has a large selection of previous songs she liked. "I really liked and still like my song, that I submitted for preselections - "Skestu" ("Sinking") It is a song in Lithuanian, it is electronic music that had a hint of drum n bass in it", she explains. "Well this was only my second year so there's not a lot I can choose from. :) I kinda really liked my last years song - "Dying", says Vaidas. Vaidas has recently released a new album and Monika is preparing one too. "At the moment, besides getting ready for Eurovision I spend a lot of my time in a recording studio, because my first debut album is out now. It will be a very fresh sound, tender electronics mixed with live instrumentals. I am happy to be working with one of the best music producers in Lithuania- Leon Somov. Jazzu, who is undoubtedly one of the brightest Lithuanian singers, is also contributing". In regards to the possibility of recording more duets together, they promise they will consider it after Eurovision for sure. Monika Linkytė: "I wish everyone to love and appreciate music. It understands us and heals our souls"
Vaidas Baumila: "Hope you like the song :) hope it puts a smile on your face. If that's the case, then you know who to vote for ;)"
You can read complete text of the interview on OGAE Rest of the World Facebook page. Lithuanian participants in Eurovision song contest Monika & Vaidas are presenting their brand new music video clip for the song "This time" which is full of love and kisses. These days Monika & Vaidas are like in the middle of hurracane – photoshoots, rehearsals, concerts and traveling all around the Europe. But now with pleasure Lithuania wants to show you new "This time" music video clip. The director Algina Navickaite talks about it: It's very lovely and cozy video clip even though it's not very usual for "Eurovision". There's no glitter or glamour – it's truly simple. And it's sort of social experiment – people were asked to listen to the song and react to it. Everyone was so cheerful! This song just calls out for good emotions and vibrations. I believe most of Lithuanians could tell the words of "This time" just from their memory"
There are a lot of kissing in video clip. Director was laughing that there were some times where couples even had to be asked to stop all the kissing. Before shooting the video couples were asked to send their kisses for Lithuanian Eurovision team with an opportunity to appear in "This time" song video clip. Though all age and gender couples were invited only one homosexual couple were brave enough to come out of the closet in front of all Europe and Lithuania. On Monday evening filming of the music video for Lithuanian entry "This Time" took place in "Qpolo" bar in Lithuanian capital. As we have informed earlier, Monika and Vaidas have invited Eurovision fans sending in their kisses to be included in the video. More kissing couples could have been found in the bar, surrounding performers. Not only straight, but also gay and lesbian couples have been featured in the video. Preliminary date for the video release is April 1. Overall, during the two-hour long support concert Vaidas Baumila and Monika Linkytė have managed to collect 20,843 Euros. Last year Vilija Matačiūnaitė has gathered only 14 thousand, yet the record belongs to Sasha Song who managed to collect 24 thousand Euro. Collected funds will be used on image of artists, stage effects, promotional material and many other things. According to estimates, the total cost of production of Lithuanian act will be about 30 thousand Euro. Both Eurovision and acoustic versions of "This Time" have been performed at the show. Special guests of the show were Jazzu ir Leonas Somovas, Rosita Čivilytė, Jurgis Brūzga. The show was also attended by the Austrian Ambassador to Lithuania Johann Spitzer, who admitted being big fan of Vaidas and Monika. 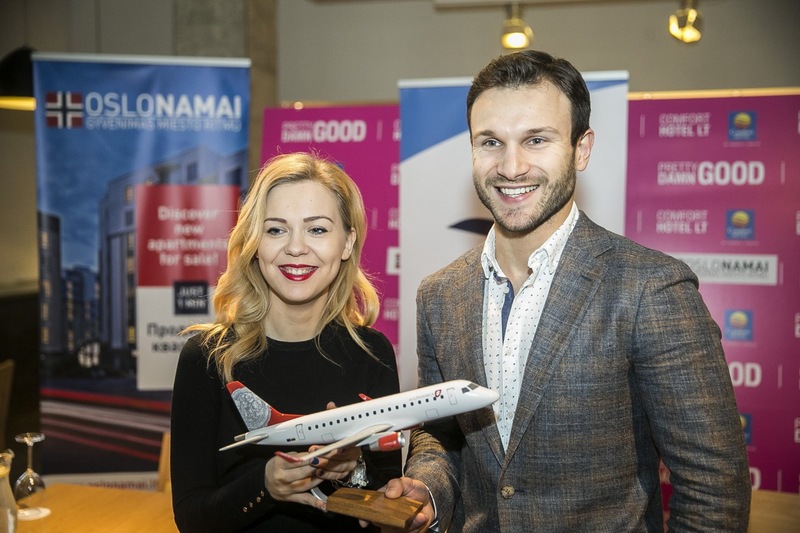 From early morning on Wednesday, Lithuanian representatives Vaidas Baumila and Monika Linkytė have been working on their Eurovision postcard with the ORF team arriving from Austria specially for the occasion. The initial start of the postcard is the same as everywhere else, a postman knocks on the door (this time performers were located in one of most luxurious hotels of Vilnius" and delivers them parcel, which includes official invitation to the contest in Vienna. Second part of the postcard will be filmed in Austria on March 12. "It will look impressive and will require a lot of efforts", says head of Lithuanian delegation Audrius Giržadas. Representatives of Lithuania at the 2015 Eurovision Monika Linkytė and Vaidas Baumila invite fans to participate in the kissing contest. Couples are invited to film up to ten seconds long kiss and submit footage to the competition. Ten of the best kisses will be selected to be included in the music video clip for their Eurovision entry, that will be filmed on March 16. "Gender, race, everything else is not important - what is important is love. It may be even nice kiss of two dogs", - laughs producer Martynas Tyla, who will be once again working on preparation of Lithuanian entrants. The video should be submitted to pramogos@lrytas.lt with title of message "Vaido ir Monikos klipui". On Tuesday, during the press-conference it was announced that there will 4 backing vocalists joining Vaidas and Monika on the stage. Performance director is Marijanas Staniulėnas, stage plan is developed by TV director Povilas Varvuolis. Vaidas and Monika are also asking fans to send in their proposals about the stage image. Costume ideas and sketches from both amateur and professional designers can be submitted to info@atlikejai.com. On Wednesday Lithuanian couple will be filming their postcard video with crew from ORF. According to the scenario postman knocks the door, and delivers to Monika and Vaidos an invitation to come to Vienna, while the second part of the video will be filmed already on location in Vienna, where Monika and Vaidas will travel on March 12. "The idea of postcard will be secret until the show, but I will say so - I hope that the tiger will be fed", - intrigued head of delegation Audrius Giržadas. On March 5-6 the singers will also travel to Berlin, where will be held part of the technical preparations for the Eurovision performance. This Saturday at 21:00 local time LRT will air support concert for Lithuanian Eurovision duo titled "Let's Get Together". Among it's special guests will be Justė Arlauskaitė, Rosita Čivilytė, Donatas Montvydas, Andrius Pojavis and others. Donations send during the show using SMS numbers 1506 – 1,45 Eur; 1507 – 2,90 Eur will be used for Eurovision preparations. Also direct money transfer to the account of association "Metų muzikos apdovanojimai" LT 50 7044 0600 0773 0001 is also possible. Watch promo of the concert here. So far, it is estimated that the duet's budget is about 10.000 Euros. In mid-April the duo will be travel to Amsterdam to perform at traditional "Eurovision in Concert" show. In April will be also released, on CD and digitally, "This Time" single, which will include English, French, German and Lithuanian versions of the song. The duet will travel to Vienna for Euroweek on 12 May and will stay there till the day of final, May 23. "If they win the contest, we will allow them to stay in Vienna for couple of more days. But seriously, for all years I have been working with Lithuanian Eurovision, there has never been so much of positive feedback from fans on the official site of the contest, "- notes A.Giržadas. In 2015 Lithuanian national preselection for Eurovision Song Contest (Eurovizijos dainų konkurso nacionalinė atranka) is following the same format that was developed last year. The competition involved originally 12 artists and 12 song entries that compete in a span of 8 weeks long process, running from 3 January to 22 February 2015. All shows in the competition take place at the LRT studios in Vilnius, however only final will be aired live, other shows are usually filmed on preceding Tuesdays. They are hosted by Simona Nainė and Arūnas Valinskas (Audrius Giržadas standing in for the show 4). Shows can also be watched online at 20.00 CET. Separate videos from the shows can be watched on Youtube. The format of the competition again involves artists competing independently from the songs. Rule change for the 2015 national selection includes the ability for artists to indicate a preference to perform a particular song on their application form, and such request may be taken into consideration when the line-up of shows is formed. If the artist gets eliminated, composer(s) of his preferred song is to be consulted about whether the song will remain in the competition available for other artists to perform. Submission period for the show run from 31 October to 15 December 2014 and the 12 competing artists were revealed on 18 December 2014. 168 songs were submitted to the broadcaster (with most coming from Sweden and only 10 Lithuanian composers deciding to take part) of which 12 eventually were selected for the competition, they were released for listening and online voting on 13 January 2015. "Factory Hearts" was also submitted to Moldovan preselection but failed to pass to top 50 entries there. The first show featured the performers covering Lithuanian hit songs and second show - International hit songs. The voting results from the first 2 shows were combined together, which led to the elimination of the 1st of 12 original acts. First 11 potential Eurovision songs were introduced in the third show, with 12th entry recorded by already eliminated act Rollikai and this performance was broadcasted during show 5. The two lowest ranked artists have been eliminated from the competition in shows 3-4-5-6 (while after 3rd show 1 entry was voted off, after 4th - 2, and none after 5th). Prior to the filming of the heat 4 on January 20, Milita Daikerytė withdrew from the competition due to an illness and show 4 saw thus only 1 artist eliminated based on the voting outcome. During show 7 the winning song will be selected from the remaining 3 entries, while no artists will be eliminated. During show 8 on 21 February 2015, the remaining 3 artists will perform their own version of the Lithuanian entry and the artist/song combination that scores the highest after the calculation of combination of votes from the juries and the public vote will be selected to represent Lithuania in Vienna. In addition to the 8 selection shows, LRT will also broadcast a best of the national preselection show on 28 February 2015 and a winning performer's support concert on 1 March 2015, where entrants ranked 2-6 will also participate, and viewers will be able to donate money to the support of the winning act's preparations for Vienna. The results of each show are decided by combination of jury votes and public voting on 50-50 base. During the shows, the public is casting their votes through SMS voting. To vote for the songs, the public can cast their vote at the online voting platform on the LRT website. The Lithuanian Copyright Protection Association (LATGA) has sponsored a monetary prize of 15,000 LTL (€4,400) to be awarded to the winning songwriters in order to encourage further development of the song for the international scene. 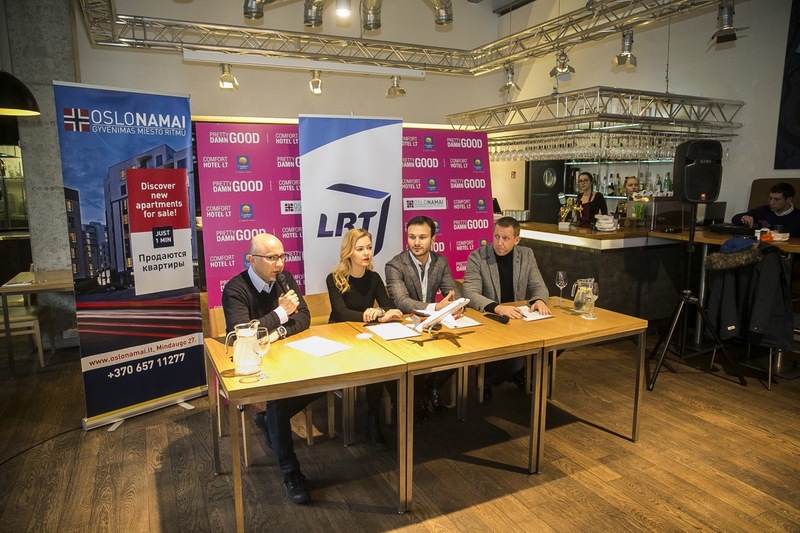 The winning artist will be awarded 5,000 LTL (€1,470) sponsored by the Music Association Annual Awards (MAMA) in order to assist in his preparations for the Eurovision Song Contest. The jury is made of a four member Lithuanian jury panel (considered as one jury member) who also provide feedback during the live performances (members of Lithuanian panel were: Ramūnas Zilnys (music reviewer) shows 1-7, Edmundas Seilius (opera singer) shows 1-2, Juozas Liesis (journalist/musician) show 1, Linas Adomaitis (singer and ESC 2004 entrant) shows 1-2, Audrius Giržadas (LRT chief producer) show 2, Sigutė Stonytė (opera singer) show 3, Vytautas Lukočius (conductor) show 3, 7, Justė Arlauskaitė (singer) show 3, Gediminas Zujus (producer) show 4, 7, Darius Užkuraitis (musicologist) show 4-6, Ieva Norkūnienė (choreographer) show 4, Rosita Čivilytė (singer) show 5-7, Gintaras Rinkevičius (conductor) show 5-6) as well as 2 international jurors: Peter Jenner, music manager from the United Kingdom (replaced from show 3 by Ralfs Eilands, lead singer of PeR from Latvia); Lela Tsurtsumia, singer from Georgia; and René Romkes, organiser of the annual Eurovision in Concert event from the Netherlands. In case of a tie, the performer who received the most votes from the public will prevail. However, during the shows where the winning song and the winning artist are being selected, ties will be decided giving preference to the the jury votes. 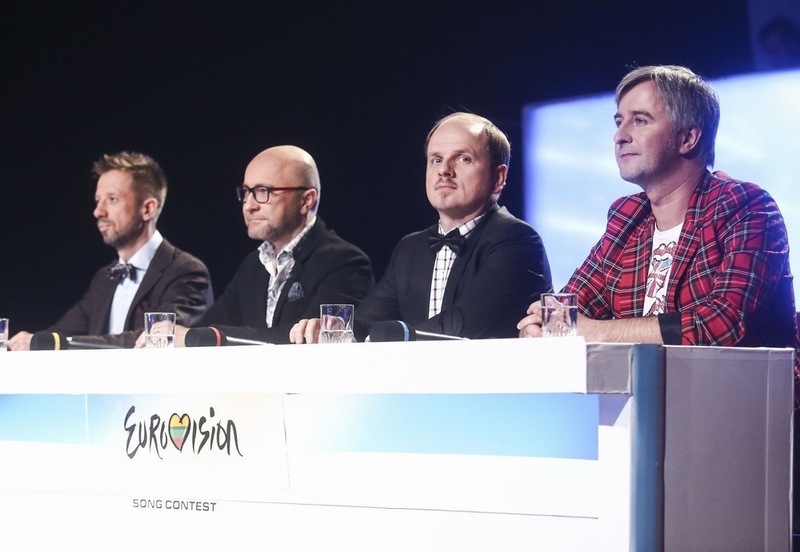 Jury members for the final were: Ramūnas Zilnys, Rosita Čivilytė (Lithuania), Ralfs Eilands (PeR) (Latvia), Rene Romkes (Eurovision In Concert) (The Netherlands), Eric Lehmann (OGAE Luxembourg) (Luxembourg). This Time (originally written for Vaidas Baumila): Vaidas Baumila, Vaidas Baumila and Monika Linkytė. Versions from show 7 can be seen here. Вайдас Джейкоб Бомила родился 28 марта 1987 года. В подростковом возрасте Бомила серьезно занимался спортом, в частности баскетболом. Песенную карьеру он начинает под псевдонимом Ozonas в 2005 году, а популярность к нему приходит в том же году с участием в реалити шоу "Dangus" на TV Tango, заняв в итоговом шоу 30го декабря третье место. После успеха на шоу, Бомила дает множество выступлений по Литве и выпускает свой дебютный альбом "Ką tu mėgsti?" 11 декабря 2006 года, разошедшийся тиражем в 5000 экземпляров. В 2007 году выходит второй альбом - "Išklausyk", а Вайдас получает от Radiocentras премию в качестве "Лучшего исполнителя". Летом 2008 года он также получает премию "Лучшего певца для детей" на церемонии "Vaikų balso". Вместе с Виолетой Буожите он принимает участие в шоу телеканала LNK "Star Duets 2". В 2009 году Бомила вновь принимает участие в "Star Duets", на этот раз выступая вместе с Даурой Зенкемичуте, выйдя в полуфинал шоу. В Литве Бомила также серьезно занимается актерской карьерой, играя заглавные роли в знаменитых мюзиклах и театральных постановках: Иуду в "Jesus Christ Super Star", Радамеса в "Aida", Феба в "Notre Dame de Paris", Марка в "Rent", Григория Степановича Смирнова в "Медведе" Чехова и Кита в "No Way to Treat a Lady". В 2009 году он завершает обучение в Вильнюсском колледже, где занимался классическим вокалом и решает продолжить получение музыкального образования в Великобритании. Сначала он слушает лекции в Королевской Академии Музыки и Драматического Искусства в Шотландии, а в 2010 году поступает в Актерскую школу в Гилфорде (GSA). В Великобритании Вайдас также регулярно выступает на борту круизного лайнера "Королева Елизавета", играет в театральных постановках: Джейми в "Last Five Years", Макса в "Lend Me a Tenor" и Тевье в "Fiddler On The Roof" в театре Ивонн Арно в Гилфорде. Бомила возвращается в Литву в 2012 году, и принимает участие в телешоу "Auksinis balsas" на телеканале LRT, занимая 3е место. С декабря 2013 по март 2014 он участвует в национальном отборе на конкурс Евровидение, в итоге заняв в нем третье место. Песня "Dying", написанная специально для Бомилы Эдгарасом Лубисом, не выходит в лучшую тройку, покинув отбор в 10 шоу. Новый альбом Бомилы "Iš naujo" (С начала) выходит в свет в марте 2015 года, и за этим следует месячный тур по Литве. В отборе на Евровидение 2015 Вайдас Бомила принимает участие с песней "This Time", написанной Витаутасом Бикусом. "Евровидение для меня возможность проявить себя, показать свои вокальные данные, знание английского, открыть новые возможности для выступлений за пределами Литвы", говорит исполнитель. "Это невероятная песня - она несет в себе больше чем 200% позитивного заряда. Когда я услышал ее, я немедленно захотел двигаться, ритм захватывает тебя сразу же с головы до ног. Я уверен, что и слушатели испытают то же самое - вне зависимости от того, услышат ли они ее в машине, или в офисе, или дома - эта песня имеет заразный эффект, воздействующий на всех без исключения"
Моника Линките родилась 3го июня 1992 года в Гаргждае, но в настоящее время живет в Вильнюсе, учится на юридическом факультете Вильнюсского университета. С самого рождения Монику сопровождала музыка. Когда она была маленькой, то мечтала танцевать, поэтому мама, когда девочке еще не было и четырех лет, отвела ее в танцевальную студию. Но, все же, едва начав играть на фортепиано, Моника поняла, что для нее нет ничего важнее музыки. В конце концов, М. Линките стала учиться тайнам вокала – тогда она и поняла, что хочет связать свою жизнь с пением. Моника принимала участие в нескольких музыкальных конкурсах, фестивалях, снималась в различных телевизионных проектах. В 2006 году она получает специальную премию на международном конкурсе "Buen viaje", занимает 2е место на конкурсе "Baby Sing" и получает дипломы на конкурсах "Dainų burė" и "Kalėdų karalystė". В 2007 году она участвует во втором сезоне проекта LRT "Mažųjų žvaigždžių ringas", одерживая на нем победу, а также становится лучшей на международном фестивале "Švarus pajūris". В этом же году она принимает участие в национальном отборе на конкурс Детское Евровидение, став третьей с композицией "Vaikystes pasaka". В 2008 году она занимает 2е место на национальном конкурсе "Pavasario fleita" и становится лауреатом "Dainų dainelė". Она завоевывает гран-при на "Baby Sing" и занимает 4е место на "Berliner Perle". В 2009 году Моника впервые пробуется в отборе на взрослое Евровидение с песней "Give Away", выйдя в финал и заняв в нем 10е место. Особенно успешными для Моники были 2011-й и 2012-й годы. За это время певица много выступала с концертами, подготовила специальные программы песен Кэти Перри (Katy Perry) и Алиши Киз (Alicia Keys), записала много сольных произведений. В 2011 году Линките вновь выступает в финале национального отбора, заняв в нем 4е место с песней "Days go by". В 2012 году она вновь участвует в отборе на Евровидение, выйдя на этот раз в суперфинал и став 3й с "Happy". В 2013 году, в свою четвертую попытку, она исполняет "Baby boy", написанную Сашей Соном, выходит в финал, но была вынуждена отказаться от участия в нем из-за болезни. В 2014 году она возвращается на шоу, не доходя всего одного шага до финала, заняв 4е место. В том же году Линките принимает участие в конкурсе "Новая Волна" в Юрмале, где занимает 4е место, получив специальную премию Аллы Пугачевой. В рамках конкурса Линките исполняет дуэт с Донни Монтеллом на "Love Is Blind". Также Линките участвует в танцевальном шоу телеканала TV3 "Šok su manimi". В 2015 году она в шестой раз принимает участие в отборе на Евровидение, подает заявку с композицией "Skęstu" (Flying). Песня не выходит в финал, покидая отбор после 6го шоу, но на этот раз самой Монике удается выйти в финал артистов. После успешного исполнения на одном из предварительных шоу, автор песни-победительницы "This Time" внес организаторам национального отбора идею, предложить на суд зрителей в финале шоу и дуэт Моники и Вайдаса, и организаторы утвердили это решение. На Евровидении с Моникой и Вайдасом выступят четыре бэк-вокалиста: Рута Жибайтите, Юсте Крауялите, Дайнотас Варнас и Юриюс Векленко. Педагог по вокалу: Виктория Калпокайте. Наши следующие гости - представители Литвы Вайдас Бомила и Моника Линките. Как обычно, мы начинаем с вопроса о чувствах, испытываемых исполнителями в связи с участием в конкурсе Евровидение. "Это замечательное чувство. Мы гордимся быть частью огромной традиции, какой является Конкурс песни Евровидение. Особенно в этом году, когда конкурс отмечает 60-летие", говорит Вайдас. "Конечно, как я и Вайдас, очень рада иметь такую возможность. Наша песня очень позитивная, оптимистичная, так что мы надеемся распространять положительные эмоции и привлечь нашими хорошими вибрациями как можно больше болельщиков из Европы. Я думаю, Вайдас согласится, что после того, как нас выбрали представлять Литву на Евровидении мы поняли, какая это огромная ответственность. Мы будем представлять нашу страну, мы будем представлять каждого гражданина Литвы, и это для нас огромная честь". На конкурсе песни Евровидение 2015 дуэт представит песню "This Time", которую Вайдас описывает как "lovely jubbly" (клёвая, фраза популяризованная сериалом "Дуракам везет"), а Моника как "добрую, милую историю любви, которую мы расскажем в течение трех минут". Вайдас рассказывает историю его создания: "Композитор Витас Бикус и я писали её для нашего нового альбома, но мы оба согласились, что эта песня соответствует формату Евровидения, так она появилась в качестве одной из заявок". Что же произошло дальше? Моника объясняет: "У организаторов отбора на Евровидение была идея, что было бы интересно сделать несколько дуэтных номеров, когда в конкурсе оставалось 6 участников. Получилось, что Эдгарас Любис оказался в паре с Мией, а мне предложили сделать дуэт с Вайдасом. Я особо не стала раздумывать над этой идеей и просто согласилась. На самом деле, первый раз мы встретились на репетициях, мы думали, что будем петь другую песню. Но когда я слушала песню Вайдаса у себя дома, как только я услышала припев, в моей голове зазвучал второй голос. После репетиции, я просто предложила ему попробовать спеть его песню в дуэте. В конце концов, не осталось никаких сомнений, мы приняли правильное решение". Дуэт уверяет, что даже несмотря на то, что в песню внесут еще некоторые изменения, они не будут заметны для слушателей. "Не волнуйтесь, она останется такой, как вам и нравится! :)", шутит Вайдас. Дуэт также записал несколько версий песни на других языках. "Мы записали песню на литовском языке, потому что это наш родной язык. Витаутас Бикус является автором текста. Мы так же записали версию на французском языке, который также является одним из основных мировых языков. Французский - очень нежный, мягкий и мелодичный язык, он очень подходит для этой песни. Мы получили текст от одного французского парня уже на следующий день после победы в отборе на Евровидение. Мы также записали акустическую версию песни на английском языке", говорит Моника. Музыкальный клип на песню был выпущен на прошлой неделе. "Мы очень довольны тем, каким вышло видео. Мы хотели создать в нём ощущение уюта, в результате чего песня стала бы еще ближе к нашим поклонникам и слушателям. Вот почему мы сделали это вживую. Сама по себе идея была результатом совместного мозгового штурма с участием продюсеров, режиссёра Альгины Навицкайте и нас двоих :) ", говорит Вайдас. На сцене Евровидения к дуэту присоединятся четверо бэк-вокалистов - два парня и две девушки. Моника знакомит нас с ними: "Все они очень музыкальны, и они действительно ценят и любят музыку. Рута Зибайтите и Юсте Крауялите обе были в одном и том же поп- хоре с раннего возраста. Рута, Дайнотас Варнас и Юриюс Векленко принимали участие в шоу "Голос Литвы" и все они дошли до финала". Дуэт попросил любительских и профессиональных дизайнеров представить предложения сценических костюмов для их выступления. "Мы хотим, чтобы наш внешний вид был бы теплым, уютным и милым, как и первая любовь. Мы хотим выразить эту идею и через наши костюмы. Мы рады, что мы можем полностью согласиться с дизайнерами в идеях, пожеланиях и ожиданиях. Но пока еще немного рано говорить об этом в деталях", говорит Моника. Цели у членов дуэта на международном конкурсе немного отличаются. Моника с улыбкой говорит что они едут туда за победой, в то время как Вайдас смеется, говоря, что его целью является "съесть как можно больше австрийских штруделей, столько, сколько влезет! С заварным кремом. Не забудьте только про заварной крем!". Дуэт уже принял участие в пре-пати Евровидения в Риге в конце прошлой недели и теперь отправляется в Амстердам. "Мы считаем, что лучше потратить время на репетиции, вместо того, чтобы представлять себя в различных европейских странах перед конкурсом", говорит Моника . Дуэт также нанёс неожиданный визит в Берлин, и Вайдас раскрывает его секрет: "Да, у нас там появилась новая система наушников, сделанная специально для нас, что, безусловно, сделает пение более лёгким и удобным". Моника говорит, что до сих пор она посмотрела только записи выступлений конкурсантов из других стран Прибалтики и тех, которые участвовали в Рижской пре-пати. Она считает, что соперники в этом году очень сильны. Вайдас полностью соглашается: "Песни очень сильные в этом году, я до сих пор не могу сказать, какая из них моя любимая". Моника участвовала в отборе на Евровидение уже шестой раз, поэтому у неё есть большой выбор предыдущих песен, которые ей нравились. "Мне очень нравилась, и до сих пор нравится моя песня, которую я представляла для отбора в этом году - "Skestu". Это песня на литовском языке, это электронная музыка, в которой был намек на драм-н-бас", объясняет она. "Для меня это быль только второй год, так что у меня не такой большой выбор :) Мне очень нравилась моя прошлогодняя песня - "Dying", говорит Вайдас. Вайдас недавно выпустил новый альбом и Моника тоже готовит свой. "На данный момент, помимо подготовки к Евровидению, я провожу много своего времени в студии звукозаписи, потому что мой первый дебютный альбом будет выпущен в ближайшее время. Это будет очень свежий звук, нежная электроника смешанная с живыми инструментами. Я рад работать с одним из лучших музыкальных продюсеров в Литве - Леоном Сомовым. Jazzu, который, несомненно, является одним из самых ярких литовских исполнителей, также внес в него свой вклад". В отношении возможности записи новых дуэтов, исполнители обещают, что обязательно подумают над этим после Евровидения. Моника Линките: "Я желаю всем любить и ценить музыку. Она понимает нас и лечит наши души"
Вайдас Бомила: "Надеюсь, что вам понравится песня :) Надеюсь, что она вызовет улыбку на вашем лице. Если это так, то вы знаете, за кого голосовать ;)"
Представители Литвы на Евровидении 2015 Моника и Вайдас представили новый видеоклип на конкурсную песню "This Time", который переполнен любовью и поцелуями. В эти дни Моника и Вайдас находятся как в центре урагана - фотосессии, репетиции, концерты и поездки по всей Европе. Но сейчас представители Литвы с удовольствие показывают всем зрителям свой новый видеоклип. Рассказывает режиссер Альгина Навицкайте: Видео очень уютное и милое, немного необычное для конкурса Евровидение. В нем нет блестков и гламура, оно очень простое. Помимо того, оно представляет собой своего рода социальный эксперимент. Создатели клипа пригласили людей, которые раньше не слышали конкурсной песни Литвы, на живой концерт дуэта и музыкантов. В качестве эксперимента, его участников попросили выразить свои эмоции от первого прослушивания песни. Оказалось, что песня вызывает самые положительные эмоции, и думаю, что в настоящее время уже все литовцы смогут по памяти напеть слова нашей песни"
В клипе очень много поцелуев. Режиссер рассказывает, что были минуты, когда некоторые пары даже пришлось просить прекратить целоваться. Перед съемкой клипа организаторы также призвали всех поклонников Евровидения присылать записи своих поцелуев и попасть в клип "This Time". Ограничений по возрасту или полу целующихся пар не было, но достаточно храброй для съемок в клипе, который увидят вся Литва и Европа, оказалась только одна однополая пара. В понедельник вечером в баре "Qpolo" в столице Литвы прошли съемки видеоклипа на песню "This Time", представляющую эту страну на конкурсе. Как мы сообщали ранее, Моника и Вайдас пригласили поклонников Евровидения направлять им видеозаписи со своими поцелуями, которые бы вошли в видеоклип. Другие целующиеся пары можно было увидеть прямо в баре, окружавшем исполнителей. В видеоклип войдут не только разнополые, но и однополые поцелуи. Предварительная дата премьеры клипа - 1 апреля. С самого раннего утра среды, представители Литвы Вайдас Бомила и Моника Линките работали вместе с командой телеканала ORF, специально прибывшей из Австрии, над съемкой первой части посткарда, ролика, который будет предварять их выступление на конкурсе Евровидение. Как и обычно, по сценарию, дуэт получил бандероль с официальным приглашением на Евровидение. Почтальон доставил ее до дома участников, роль которого сыграл один из престижных отелей Вильнюса. Съемки второй части открытки пройдут в Австрии 12го марта. "Открытка должна стать очень интересной, но ее съемки потребуют многих усилий", вновь заинтриговал глава литовской делегации Аудрюс Гиржадас. Представители Литвы на Евровидении 2015 Моника Линките и Вайдас Бомила пригласили поклонников шоу принять участие в конкурсе на лучший поцелуй. Пары приглашаются записать видео своего поцелуя (длиной до 10 секунд) и отправить его организаторам. Десять лучших поцелуев войдут в видеоклип литовского дуэта на их конкурсную песню Евровидения, съемки его пройдут 16го марта. "Пол, раса, все остальное - неважно, важна лишь любовь. Это может быть даже красивый поцелуй двух собак", - шутит продюсер Мартинас Тила, который в очередной раз будет работать над подготовкой представителя Литвы. Видеозаписи поцелуев необходимо отсылать на e-mail pramogos@lrytas.lt c заголовком сообщения "Vaido ir Monikos klipui". Во вторник, во время прошедшей пресс-конференции, также стало известно, что на сцене с Вайдасом и Моникой выступят 4 бэк-вокалиста. Режиссером их номера станет Марьянас Станюленас, а сценической постановкой занимается телевизионный режиссер Повилас Варвуолис. Вайдас и Моника также пригласили своих поклонников присылать им идеи сценического имиджа. Идеи, наброски костюмов как от профессионалов, так и от дизайнеров-любителей, можно присылать на info@atlikejai.com. В среду литовский дуэт будет снимать первую половину посткарда Евровидения с командой ORF. Согласно сценарию, почтальон стучится в дверь и приносит Монике с Вайдасом приглашение посетить Вену, где уже и пройдет съемка второй части визитки. Моника и Вайдас отправятся туда 12го марта. "Идея посткарда должна оставаться в секрете до самого шоу, но я скажу так - надеюсь, что тигр будет сыт", - заинтриговал глава делегации Аудрюс Гиржадас. 5-6 марта певцы отправятся в Берлин, где пройдет некая техническая подготовка к их выступлению на конкурсе. В эту субботу, в 21:00 местного времени, телеканал LRT покажет концерт в поддержку литовского дуэта под названием "Let's Get Together". Среди специальных гостей концерта будут Юсте Арлаускайте, Росита Чивилите, Донатас Монтвидас, Аудрюс Появис и др. Пожертвования во время шоу можно будет делать путем отправки СМС на номера 1506 – 1,45 Евро; 1507 – 2,90 Евро, и все заработанные средства будут направлены на подготовку дуэта к конкурсу. Также возможно осуществить прямой перевод денег на счет ассоциации "Metų muzikos apdovanojimai" LT 50 7044 0600 0773 0001. Промо-ролик концерта можно увидеть здесь. Пока, предварительный бюджет оценивается в 10 тысяч евро, которые предстоит собрать с помощью данного концерта. В середине апреля дуэт побывает в Амстердаме, где выступит на традиционной вечеринке "Eurovision In Concert". В апреле также будет выпущен сингл (CD и цифровой) с конкурсной песней "This Time", на который войдут английская, французская, немецкая и литовская версии трека. В Вену непосредственно на Евронеделю дуэт отправится 12го мая, и останется там до дня финала, 23 мая. "Если они победят на конкурсе, мы позволим им остаться в Вене еще на пару дней. Но если говорить серьезно, то за все те годы, что я работаю с Евровидением в Литве, я еще никогда не видел такого количества позитивных отзывов на нашу песню, в частности на официальном сайте конкурса, "- отметил Гиржадас. В 2015 году национальный отбор Литвы на конкурс Евровидение (Eurovizijos dainų konkurso nacionalinė atranka) будет следовать тому же формату, что был разработан в прошлом году. В нем принимают участие 12 артистов и 12 песен и весь процесс отбора занимает 8 недель, продолжаясь с 3 января по 22 февраля 2015 года. Все шоу конкурса снимаются в студии телеканала LRT в Вильнюсе, однако, только финальное из них выйдет в прямом эфире, остальные шоу обычно снимались в предшествующий вторник. Ведущие шоу: Симона Наине и Арунас Валинскас (Аудриус Гиржадас временно заменил его в 4м шоу). Шоу также можно смотреть онлайн в 22.00 Москвы. Видеозаписи с шоу также можно смотреть на Youtube. В рамках отбора конкурс между артистами проходит отдельно от конкурса между песнями. В 2015 году в правила отбора было внесено изменение, позволяющее артистам указать во время подачи заявок предпочтительное желание исполнять конкретную песню, и данное желание может быть учтено при формировании состава участников шоу. Если артист выбывает из борьбы, то авторы его предпочтительной песни должны будут определиться с тем, позволяют ли они ей продолжить участие в конкурсе с исполнением ее другими конкурсантами. Прием заявок продлился с 31го октября по 15 декабря 2014 года, и 12 участвующих артистов были представлены 18 декабря. Всего было получено 168 заявок на конкурс песен (как сообщается, большая часть из них из Швеции, а из самой Литвы композиции заявили лишь 10 авторов), и впоследствии 12 из них были выбраны для участия в шоу. Они были опубликованы для прослушивания и онлайн-голосования 13го января 2015 года. "Factory Hearts" также была заявлена в отборе в Молдове, но не смогла там войти в число 50 лучших. В рамках первого телешоу участвующие артисты исполнили свои версии литовских хитов, а во втором шоу - международных хитов. Впоследствии, результаты голосования по этим двум шоу были просуммированы, и первый из 12 участников покинул шоу. 11 из потенциально участвующих песен были представлены в третьем шоу, при этом 12я песня была записана выбывшей из конкурса группой Rollikai, и это выступление было показано только в пятом шоу. По два артиста с самым низким рейтингом покинули отбор в шоу 3-4-5-6 (при этом после 3го шоу на вылет ушла 1 песня, после 4го - 2, а после 5го - ни одной). Перед съемками 4го отборочного шоу 20 января из-за болезни от участия в проекте отказалась Милита Дайкерите и потому по результатам голосования шоу покинул только 1 исполнитель. Во время шоу 7 из оставшихся 3х песен будет выбрана песня-победитель, а все три артиста продолжат участвовать в конкурсе. Во время шоу 8 21го февраля 2015 года, оставшиеся 3 артиста исполнят свою версию песни-победительницы, и будет выбрана окончательная комбинация, которая и представит Литву на конкурсе в Вене. В дополнение к 8 отборочным шоу, LRT также покажет сборную передачу из лучших моментов отбора 28го февраля, и концерт в поддержку победителя отбора 1го марта, в рамках которого также выступят артисты, занявшие 2-6 места, и будет проведен сбор финансовых пожертвований от зрителей на подготовку артиста к Вене. Результаты каждого из шоу определялись сложением голосований жюри и телезрителей в соотношении 50-50. Во время шоу, зрители могли отдать свои голоса за полюбившихся артистов посредством СМС голосования. Голосование за песни-же проходило онлайн на сайте LRT. Литовская ассоциация по защите авторских прав (LATGA) предоставит спонсорский приз победителям шоу в размере 15000 лит (4400 евро) авторам победившей песни, которые нацелены на проведение ее доработки до уровня участия в международном финале Евровидения. Артист-победитель также получит приз в размере 5000 лит (1470 евро), выделенных Ежегодной премией музыкальной ассоциации (MAMA) для того, чтобы он смог обеспечить должную подготовку к своему участию в Евровидении. Само жюри состояло из четырех составляющих: литовское жюри (считающееся как один член жюри), которое также высказывало свои замечания после выступления артистов (Рамунас Зилнис (музыкальный обозреватель) шоу 1-7, Эдмундас Сейлиус (оперный певец) шоу 1-2, Юозас Лиесис (журналист и музыкант) шоу 1, Линас Адомайтис (певец, участник Евровидения 2004) шоу 1-2, Аудриус Гиржадас (глава делегации Литвы на Евровидении) шоу 2, Сигуте Стоните (оперная певица) шоу 3, Витаутас Лукочюс (дирижер) шоу 3, 7, Юсте Арлаускайте (певица) шоу 3, Гедиминас Зуюс (продюсер) шоу 4, 7, Дарюс Ужкурайтис (музыковед) шоу 4-6, Ева Норкуниене (хореограф) шоу 4, Росита Чивелите (певица) шоу 5-7, Гинтарас Ринкевичюс (дирижер) шоу 5-6), а также трех международных членов жюри: Питера Йеннера, музыкального продюсера из Великобритании (с шоу 3 его заменил Ральфс Эйландс, солист группы PeR из Латвии); Лелы Цурцумии, певицы из Грузии и Рене Ромкеса, организатора ежегодного шоу Eurovision In Concert из Нидерландов. В случае ничьей, преимущество в предварительных раундах отдавалось тому исполнителю или песне, который получил больше баллов от телезрителей, но в финале при выборе победителя - тому, кто получил больше баллов от жюри. В жюри финала вошли: Рамунас Зилнис, Росита Чивилите (Литва), Ральфс Эйландс (PeR) (Латвия), Рене Ромкес (Eurovision In Concert) (Нидерланды), Эрик Леманн (ОГАЕ Люксембург) (Люксембург). This Time (изначально написанная для Вайдаса Бомилы): Вайдас Бомила, Вайдас Бомила и Моника Линките. Версии This Time из шоу 7 можно увидеть здесь.